The Tory Government has been forced into a u-turn on planned cuts which would have seen local pharmacies close and others cutting back on staff and services. Earlier this year the Government announced plans to slash pharmacy funding by £170 million. 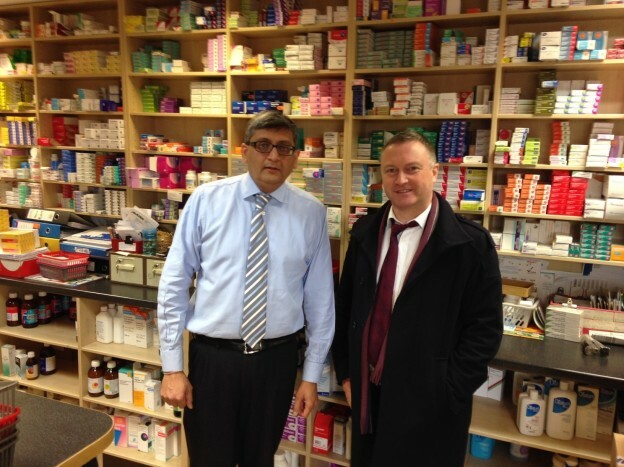 Steve met with local pharmacists in Croydon North to hear how some pharmacies would face closure while others would have to stop home deliveries of medicines to extremely sick patients or halt giving advice on minor ailments across the counter, a service that eases the pressure on local GPs. Steve organised a letter from pharmacists across Croydon North calling on the Government to rethink their dangerous plans. Now a shame-faced Tory minister has announced the plans will be shelved. “People in Croydon North depend on pharmacists for advice and care. These cuts would have left our pharmacies struggling to provide the basic service and support our community needs.